For many homeowners, especially those who live in rural areas in Michigan, water wells are great solutions for their hydration needs. Instead of solely relying on the municipal water source, you have an alternative that is more reliable and under your control. But before you go ahead and have one installed, there are a few things you should consider. This will make sure that you get the most of your water well. Unlike water from a utility company, it’s not as simple as hooking up a pipe to your plumbing. There are many steps involved in the installation of a water well and the process has a cost. Even though that’s the case, many people still opt to have a water well because of the reliability and more convenient access to an essential resource. Each installation will have a different cost so it’s best to talk to a water well drilling expert about your specific situation. 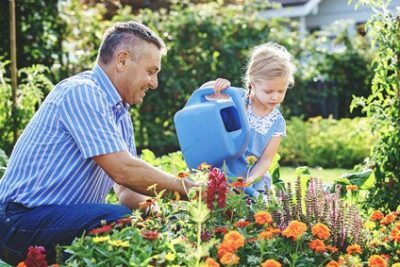 Often, you’ll find that you may not be the first to consider a water well on your property. If that’s the case, it’s a good idea talk to other well owners about their experience. Your local geological department will have records of water wells in the area so that’s a good place to start. Talking to well owners can give you a good idea about what to expect for your own water well. They may even be able to give you advice on how to go about your own setup. By now, you should realize that drilling a water well isn’t something just anyone can do. You’ll need someone with special skills and tools for the job. A licensed water well service provider should be equipped with everything necessary for this kind of project. By working with professionals, you can ensure the quality of the project as well as the safety of everyone involved. One of the advantages of working with a professional is having access to their advice. When it comes to choosing where to actually construct the well, their advice is invaluable. The location of the water well should be as far away from contaminants as possible. Things like septic tanks, fuel tanks, waste storage facilities, etc., should be nowhere near the vicinity of the well. Another consideration for location is ease of access to it. Regular upkeep is part of owning a water well. It must be convenient enough to get to so that maintenance activities can be performed. The actual construction process is different for every site. That’s why proper planning and having the right information is essential. In some places, manual digging may be possible but the more common method is using a drilling rig to access the underground water source. All these details can be determined with the help of a water well service provider. 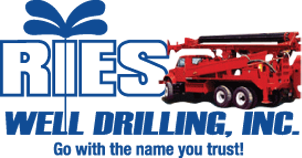 If you have any water well related concerns, get in touch with us here at Ries Well Drilling. We’ve provided installation, repair, and maintenance services to countless Michigan residents. Give us a call today.